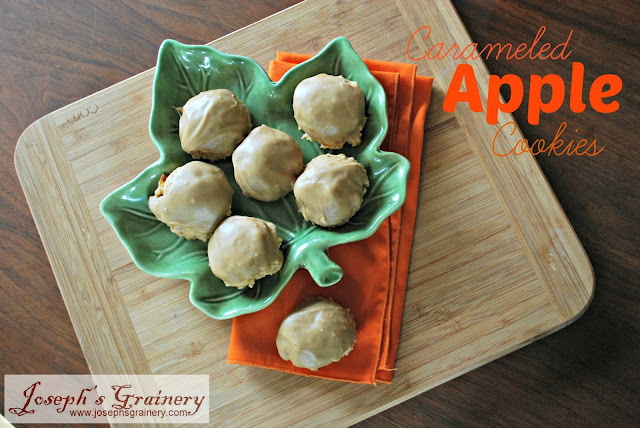 These little bites of Fall, also known as Caramel Apple Cookies, didn't last long at our house! Made with chopped up apples and whole wheat flour, you don't need to feel to guilty about eating a few of these. Directions: Preheat the oven to 350 degrees. In a large bowl, whisk together the flour, baking powder and soda, salt, cinnamon and nutmeg, set aside. In a separate bowl, toss the shredded apple with the lemon juice, set aside.